A simple recipe that everyone will enjoy! 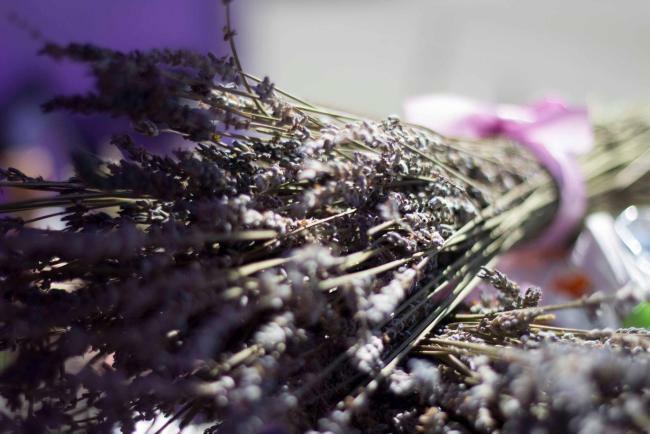 Read below for a tasty lavender vanilla simple syrup recipe. Place water, and sugar in pot over medium heat. Once sugar dissolves, remove from heat. Add lavender and vanilla. Let steep for 30 minutes, strain lavender. Place syrup into a sterilized mason jar. Syrup will last up to 2 weeks. This recipe is perfect with baked sweets, tea, coffee, cocktail drinks, french toast, and more! I like that you post very interesting facts regarding many things! It gives me a break from reading school related material. I always fancied the idea of using fresh ingredients in food…and especially something like Lavender …it gives food an extra kick .. I love products from organic herbs and materials…!!! Thank you kouzounaskitchen for your lovely recipes!!! Geia sou Nikos!! Thank you so much for taking the time to stop by my blog. I agree fresh herbs always makes the outcome of any meal better!! Exharisto poly!!! Na se kala. Loved your recipe. My elder one loves anything made with lavender. I will try out your recipe. Thanks for sharing. I bet it’s fragrant and delightful…. I’m so excited you found my blog! We are lavender farmers and as a chef I love to try new recipes out using our flowers. 🙂 I do hope you enjoy this recipe.